(April 19, 2018 – Toronto, ON) Quick, name a film composer. Okay. We guess that most of you thought of John Williams. He has, after all, created the music for some of the most popular movies ever made including the Star Wars series, Jaws, Close Encounters of the Third Kind, Superman, E.T. the Extra-Terrestrial, the Indiana Jones series, the first two Home Alone films, the first two Jurassic Park films, Schindler’s List… need I go on? It’s understandable. He has been nominated for an Academy Award 51 times, at last count, and has won five Academy Awards, 24 Grammy Awards, seven British Academy Film Awards and four Golden Globe Awards. This is a bit tougher: Name a Canadian film composer. Two Canadian composers that should come to mind are Mychael Danna, who won both a Golden Globe and the Academy Award for his score for the film Life of Pi, and Howard Shore who has won three Academy Awards, three Golden Globes and four Grammy Awards. Shore has scored more than 80 films including almost all of David Cronenberg’s films. There are others. Many others in fact. But let’s face it. When someone suggests going to see a movie no one responds with “Who wrote the music?” The number one question is “Who’s in it?” Followed by, usually in this order, Who directed it, Where is it playing, What time is it playing? Meet Andrew Lockington. He was born in Burlington, Ontario a usually quiet suburb a little west of Toronto. He’s been building a career for more than ten years and one of the early highlights was being named Breakthrough Composer of the Year through the International Film Music Critics Association (IFMCA) in 2008 as well as being nominated for Discovery of the Year at the World Soundtrack Awards in Ghent, Belgium. He has won numerous BMI and SOCAN Film Music Awards. What’s he written? You’re going to be surprised. In addition to a slew of Canadian films, including some my personal favourites (One Week, Maudie), Lockington made just about everybody sit up and take notice when the Warner Bros/Newline Blockbuster San Andreas grossed close to $475 million worldwide. He composed the epic score. He also wrote the music for the Golden Globe nominated Frankie and Alice starring Halle Berry. Mychael Danna is often associated with Atom Egoyan and, as mentioned, Howard Shore is most often associated with David Cronenberg. 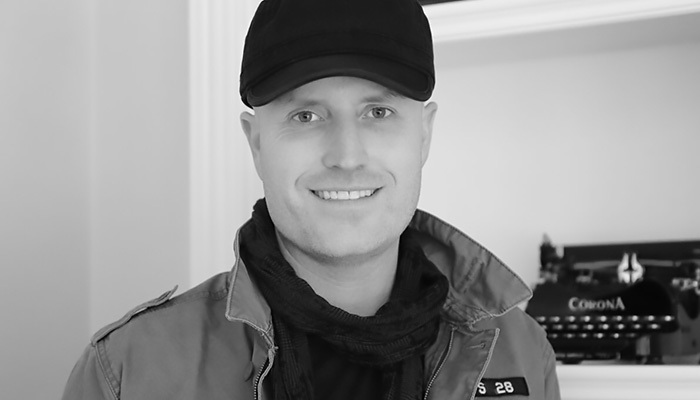 Andrew Lockington has now composed the music for four Brad Peyton films including San Andreas, Journey to the Mysterious Island and the recently released Rampage starring Dwayne Johnson. For this film, Lockington drew upon his knowledge and love of world music, his orchestral skills and electronic experimentation for the creation of a unique score. 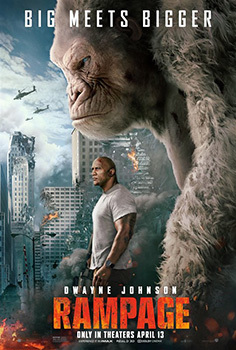 Rampage features large orchestra, processed brass and world percussion, vintage computer game electronics, manipulated animal noises recorded in the jungle on two continents and The African Children’s Choir from Uganda. Click here to watch a trailer for Rampage. As I and others have written before, the role of music in a film is to tell you what to feel. Think of the strident repetitive strings in that famous Hitchcock shower scene from Psycho. Or that time you cried in the dark theatre, surprising yourself that a film could get to you that way. It is a powerful element. In fact, from the earliest days when so-called “silent” movies were screened, there may not have been any dialogue or sound effects but there was, almost always, music. Who hasn’t heard that piano riff indicating a chase scene? It is National Canadian Film Day. Here at Northernstars it’s been Canadian Film Day every day since we went online (as northernstars.net) in February of 1998. 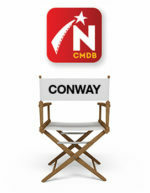 For more than 20 years we have celebrated Canadian film. We thought it appropriate to use this day to draw attention not just to a single composer, but to all film composers who are one of the most important contributors to any film and, unfortunately, usually, along with producers, one of the most overlooked. Here’s to Canadian film. Go watch something today or tomorrow or this week. And pay a little attention to the music and wait for the credits to find out who it was that moved your emotions around with such ease. Try to remember the name. It’s how we can build a true Canadian star system.